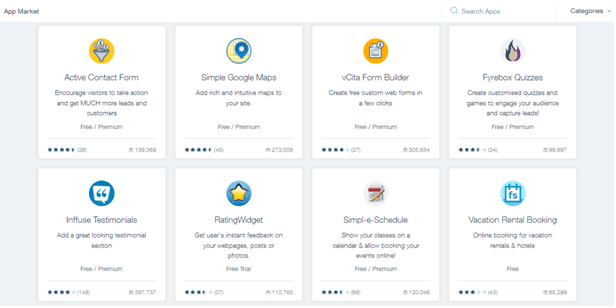 How to build your own website for free with Wix? Website creation has always been seen as a complex, time consuming and expensive process. Businesses of small, medium and large sizes have all considered it to be a difficult process. But Wix has emerged as a trusted web designing and development platform that allows everyone from advanced users to novices to create their own website. Learn about the process behind this Website Builder to create a free website. How to start with building a website? You can easily create a free website using Wix without the need for any professional help. The process is extremely simple and you will not need advanced IT skills. Create an Account: Visit Wix.com and create a free account using your email address or Facebook account. You can login if you already have an account with the Website Builder. Start Now: Click on ‘start now’ and this will take you to the page where you can start creating your website. Then click on the ‘start creating’ option and the process of website creation will begin in the Wix interface. 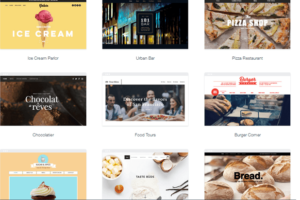 Select the Best Template: Wix offers hundreds of unique templates to choose from, sorted by categories. You can select a category based on your industry or niche. If you have a business, you can select a template based on the specific sub-category such as Automotive/Cars, Advertising/Marketing, Services/Maintenance, Consulting/Coaching, Finance/Law, Real Estate, Pets/Animals, and Technology/Apps. There are similar subcategories under Online Store, Music, Video, Photography, Restaurants, Accommodation, Photography, Blog, Portfolio/CV, Events, Health/Wellness, Fashion/Beauty and many others. Almost all industries are covered in the templates section. Wix offers mobile optimized website templates that can be fully customized to create a unique website. Once you have chosen a specific template that best matches your website’s needs, click on ‘edit’. But note that once you start editing the template, you cannot switch again from template to template! If you wish to change the template in the middle of the process, you will need to start a new website from scratch, using a fresh template. So take the time to choose the template you believe will suite your website needs the best. Bear in mind though that all the templates can be customized according to your needs, however, it would be wiser to choose a template that already contains most of the elements you will need on your website, this will make you job easier and quicker. You can also start a new website completely from scratch, choosing a blank template. Once you have created a custom website, you can also add a wide range of features depending on the type of website and services you are offering. The different features are listed below and Wix offers you a full-fledged app-store with many different useful applications to choose from. Choose a Domain Name: Once the website is created, choose the domain name without the need for going to a hosting service. You can host and choose your domain name from within Wix. However, if you wish to connect a domain you purchased elsewhere, you will need to upgrade your free account into a plan that will cost around $4 per month. Once your website is fully-designed, you can publish it with a click. No Need for Preview Mode! There is no need to switch to “preview” mode, since all changes are apparent at all times. 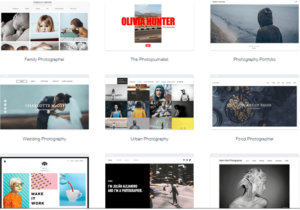 Wix is a “What-You-See-Is-What-You-Get” platform, meaning you can view all your edits in real time. This is extra convenient, since you don’t need to switch back and forth from editing mode to preview mode while you edit your site. Wix is an all-rounder Website Builder that is designed for use by all types and levels of users. Whether you are a novice without any previous webs designing experience, a midlevel user or an advanced user, this platform can be used by anyone. Even if you are an advanced programmer, the platform offers a dedicated coding platform called Wix Code. It allows you to create advanced websites, web applications, and even customize Wix elements’ behavior. 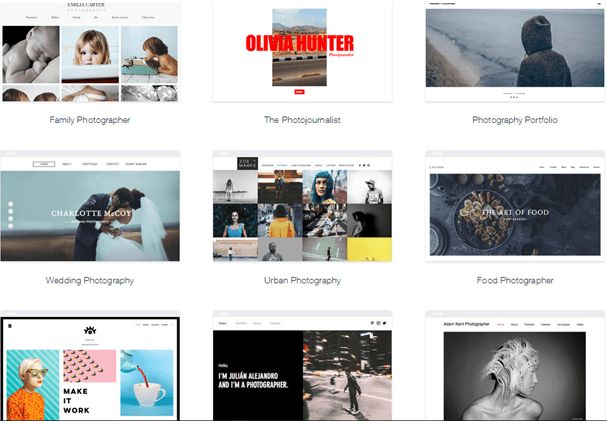 Wix is a Free platform and allows you to choose and customize a template of your choice. However, when it comes to hosting your website, you will have to select a paid plan based on the package you choose. Fermium… What again is Fremium? Wix is operating in the “fermium” model, that means you can create a full-fledged, beautiful and functional website completely free, however, there are advanced features that may require a paid account. Wix Premium (paid) plans range from about 4$ per month, that allows you to connect your own domain purchased elsewhere, and up to about $24 per month, for the VIP plan, suitable for eCommerce and larger businesses. How much time does it takes to build a website with Wix? You can create a website with Wix in just an hour. The amount of time it takes depends on how elaborate your website is, its design elements and the functional elements you want to add to it. How to customize a website with Wix? You can customize both the design as well as the functional aspects of your website using Wix. Design: Select the best template for your website and edit all its different elements to have a custom website. The editing task is based on a plain drag-and-drop function interface. Add design features like parallax scrolling, background videos, wider strips and much more. Functionality: Simplify the navigation flow, create a consistent content hierarchy, add powerful call to actions, and do much more. Add scheduling features to your website (using Wix Booking), sell and promote music using Wix Music, or create your online store using Wix Stores. 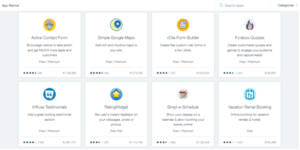 There are hundreds of apps in the Wix App Market to help you add any feature or function to your website – from creating web forms, email marketing, or invoicing, to adding Google Maps, bookkeeping and much more. Optimize & Promote Your Website: The Wix App Market also offers SEO and email marketing tools to help you promote your website, drive more traffic to it, and build your subscribers list. The platform offers a dedicated and proven application called SEO Wiz, that is easy to install and use, and gives you a personalized action plan for easily optimizing your website for search engines. This means your customers could more easily find you on search engines like Google or Bing. Wix is an easy-to-use, feature-packed website creation platform that allows you to create a free website without any advanced knowledge or previous experience. You can find all the required tools to create a full-fledged website – including amazing design elements, full customization options, apps, and even domain names and hosting – all within the same platform.